Please note: The digitized files create the entire round and square hot pads in the hoop, including the quilting. You must have a copy of the winter 2014 issue of Quilting Celebrations if you want the pattern and instructions for making this project without using machine embroidery. 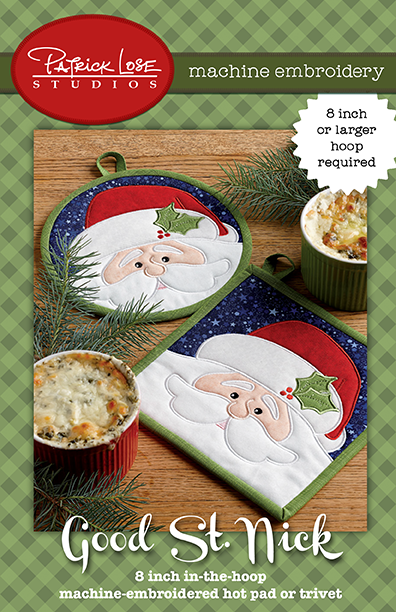 You must have an 8" hoop to stitch this project ITH.